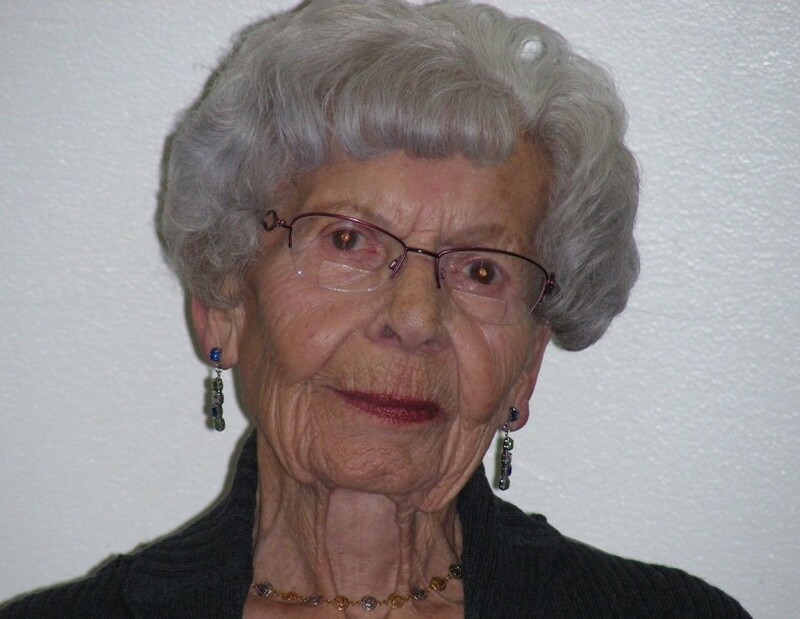 Obituary for Madeliene Snider | Binkley's Funeral Service Ltd.
Madeliene (Veysey) Snider was born on May 6, 1926 at Colgate, Saskatchewan to James Henry and Mary Veysey. She was the second youngest of fourteen children. Madeliene lost her mother, Mary, when she was four years old and her father passed away when she was twelve. She is survived by one younger sister. She was raised on the farm and attended rural school to grade eight and moved to Colgate to attend high school. An avid learner, who loved to read, Madeliene completed her grade twelve education in just ten years. While attending high school she worked several jobs, such as helping to operate a hotel, café, and switchboard where she learned to be a telephone operator. Once she had graduated Madeliene worked at Neptune, Weyburn, and Rosthern before settling at Sceptre, where she managed the Sceptre Café for her sister and was later hired by the Sceptre Rural Telephone Co. as Agent and Operator. It was in Sceptre that Madeliene met her beloved husband Albert Snider in 1945 and in February 1948 they were married. After spending a year on the farm they moved to Leader in 1949 and Madeliene became the Telephone Agent for Saskatchewan Government Telephones where she worked until 1960. It was in that year that they were blessed with a beautiful baby girl Deborah Gail and in 1962 a beautiful baby boy Jaycen Albert. Madeliene took pleasure in knitting, crochet, needlework, ceramics, sewing, and gardening. She always enjoyed working with children and thus kept busy serving on many committees over the years, including: Daprico District Cubs and Scouts, Councilor for the Walther League Youth, and 4-H Home Craft Club. She also served on the local school board for eight years and took part in several other committees for activities that her children became involved in. Madeliene and Albert loved the farm and Madeliene continued to stay involved with farming her entire life. She was predeceased by her husband Albert in June of 1998. In her later years, Madeliene enjoyed her time playing cards with good friends at the Caleb in Kindersley, camping with family, and attending the many family celebrations over the years. She was never happier than when she got to snuggle her great grandbabies. Madeliene was always proud of the accomplishments of her children and later her grandchildren and great grandchildren. She was also very thankful to be blessed with wonderful friends and neighbours who were always there for her when she needed them. She is survived by her children: Deborah (Peter) Haughn and Jaycen (Connie) Snider; her grandchildren: Janice (Curtis) Graham and their children Charles and James, Jonathan (Kyli) Haughn and their children Blake and Asher; Samantha (Michael) Northey and their children Charlie, Jordan, and Benjamin; Joshua Snider (Bobbie Gaw). A graveside service will be held at the Leader Cemetery on November 24 at 1:30pm followed by a reception at the Friendship Centre in Leader at 2pm. In lieu of flowers, donations can be made to a charity of your choice.